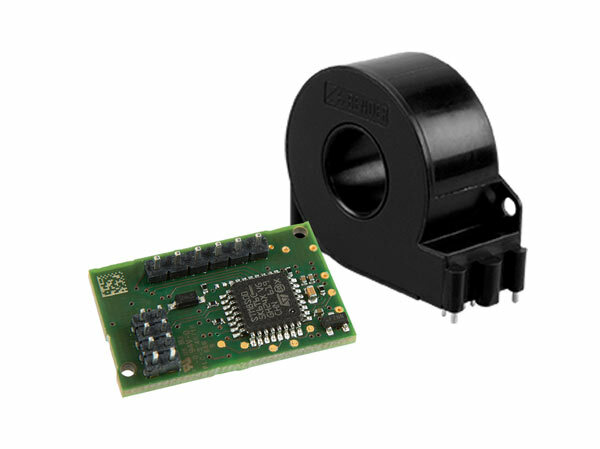 The AC/DC sensitive residual currentmonitoring module RCMB104 is used incombination with a measuring current transformer W15BS…and a type A RCD which has to be provided in the installation forfault current monitoring of AC charging systems for electric vehiclesin which AC or DC fault currents can occur.The rated voltage Un is 250 V and the rated current (charging current)In = 1 x 48 A / 3 x 32 A. The RCMB104 is suitable for integrationinto a charging unit (IC-CPD, wall box) according toIEC 61851-22, IEC 62752 and UL 2231-2. The RCMB104 is only intended for purchase by the manufacturerof the charging system and not for end users! In applications according to DIN EN 61851-22 or IEC 62752, the RCMB104 can replace a type B RCD when combined with a type A RCD and a suitable switching device (e.g. a power relay).